How Do I Survive Severe Bleeding At Home Alone? In this 3rd and final video on the series “Emergencies When You’re Alone” we cover what to do if you are severely cut and are all alone. If you’ve ever wondered the best action to take to survive, you will want to watch this video. In this episode, I talk about how I almost headed out on the road without my back up winter weather gear. But then I thought better of it and practiced what I preach. 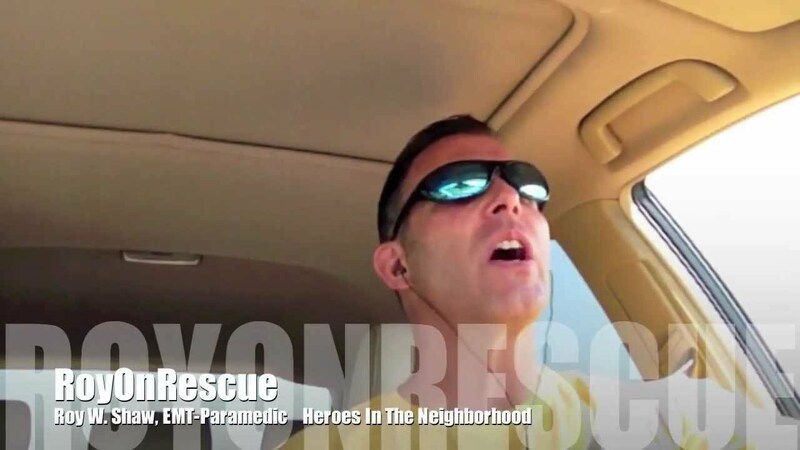 I thought I’d make it into a RoyOnRescue episode and show that we all have to be disciplined to prepare and not get caught off guard. I hope it helps! 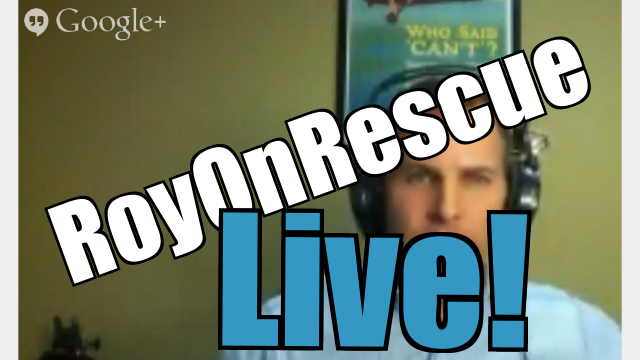 RoyOnRescue Live! – Episode 1 Seizures and Asthma Attacks, What To Do? Today marks our first try at a live, hour long episode where we open up the communication line and answer questions on the fly. Today’s broadcast was on very short notice but we took a deeper look at what causes seizures and what to do if you see someone have one. The n, in the second half of the show, we answer a question about severe asthma and what to do if your rescue inhaler isn’t working. Make sure you leave me feedback about how it went and let me know if you’d like to see more of these in the future in addition to my normal episodes. Please include times, days and length of production as I’d like to try to set one up for the future that more people could attend. If you missed the live broadcast, you can still see it here! Could You Survive Stranded In A Snow Storm? After hearing about a couple getting stranded in a mountain pass off-roading and the driver dying while seeking help, I thought I should talk about key elements around surviving out in the cold. People are often overcome by the cold simply due to lack of pre-planning, proper equipment and an adequate plan for survival until rescue help arrives. 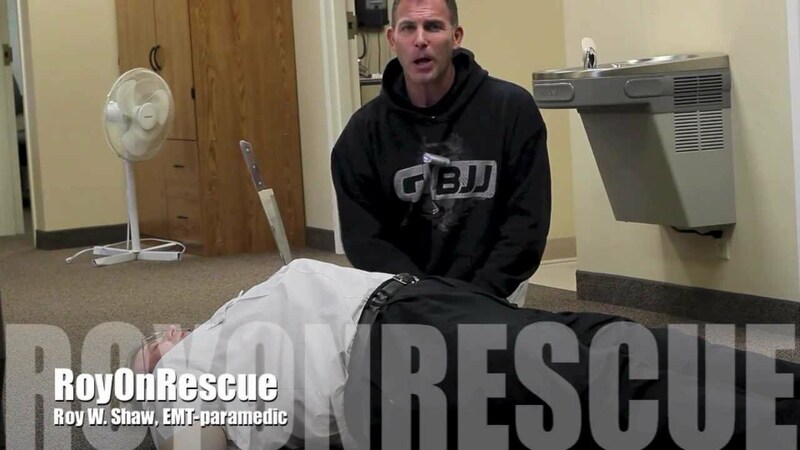 If you’ve ever wondered what you would do if you were lost, stranded or overcome by the winter elements, be sure to watch this episode of RoyOnRescue. 1. Let people know where you are going and what route you’ll be taking…then stick to it! 4. Bring extra food that can handle getting cold or even freezing like granola, nuts etc. 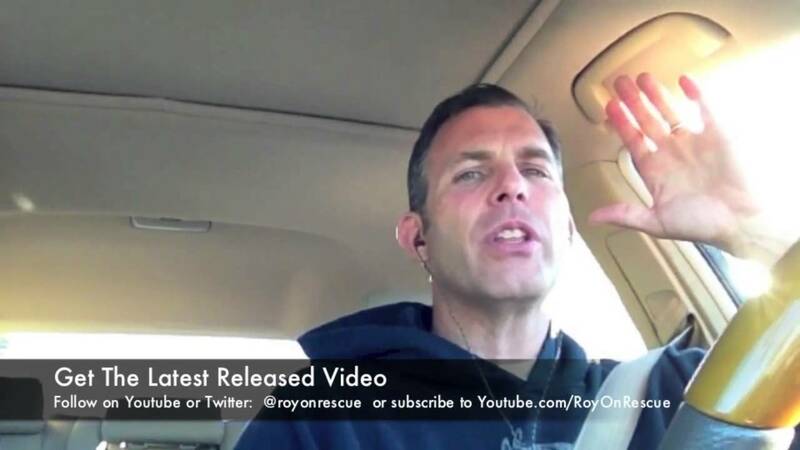 In this episode of RoyOnRescue, I answer two different emailed questions. The first from Michael who asked: “I was taught you remove the object only if it interferes with CPR.” Great question Mike. As a general rule of EMS, we only remove an impaled object if it’s obstructing the airway and preventing the ability to secure an airway. Removing an impaled object will often times “un-plug: the hole that was created by the injury and may cause excessive internal bleeding that can only be controlled in a surgical environment. As a lay rescuer, the Good Samaritan will follow the directions of the 911 dispatcher. In a worse case scenario, hands only CPR can still be performed. If the object is in the chest, try and work around the object as best as possible and provide what care you can without causing more harm. A second question came in just this afternoon from Sara who asks about an “ankle popping out” and what to do if this were to happen while on vacation. It sounds as though Sara may have a chronic problem with her knee or ankle but because of a recent injury is especially concerned that it could happen while on an exciting vacation this Friday. In both cases I hope that the advice I give helps and a little tidbit about the first aid acronym, RICES could be the solution while on vacation. Watch this episode to learn more about what to do in case either of these situations arise. Hurricane Sandy Is In Full Force and Now I Need An Ambulance! When natural or unnatural disasters strike, the chance of getting emergency help to your doorstep fast while the EMS services are exhausted is very slim. I wanted to take this opportunity to talk about a situation that doesn’t get discussed much. What effect does a hurricane or natural disaster have on the rest of the community? We sometimes forget the fact that though the rest of the world is distracted by a storm or other disaster related buzz, people still get sick, heart attacks still happen, car accidents still happen but we don’t often think about from where the next ambulance, fire truck or police car is going to be responding. 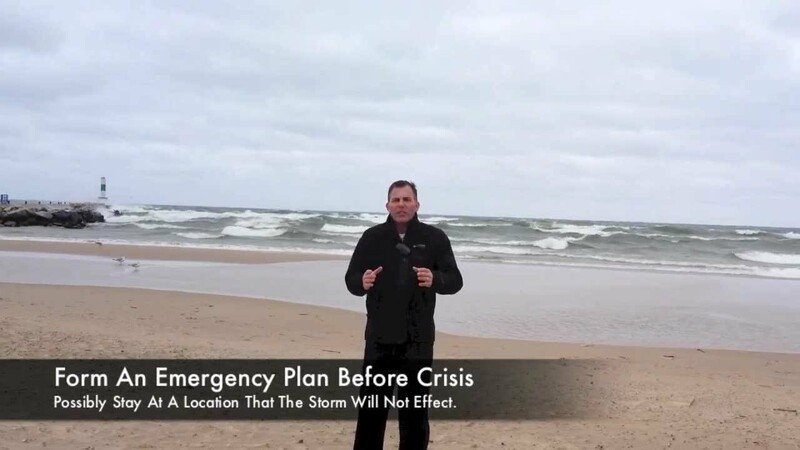 This episode of RoyOnRescue addresses this issue and urges people who may be in high risk of needing an ambulance or other EMS service to think proactively and make arrangements before the emergency happens. Think about moving loved ones with fragile health to temporary locations that may not be effected by the hurricane. Can the person stay with a relative until the community has recovered? What is the back up plan if one can be found? I hope this RoyOnRescue episode get’s everyone thinking and will hopefully help prevent a needless death due to not having the appropriate plans in place. Stay safe, our prayers are with everyone who has been and is effected by hurricane Sandy and other storms. When A Bike Crash Gives More Than A Road Rash! It’s been almost three weeks since my last episode was posted! Just for the record…it’s partly because I’ve filled my Hard Disk and was short by about 4GB of RAM. Seriously though, after suffering some technical problems I’m back in swing and hope to have several new posts in the next few days. I’m also working on a new RoyOnRescue format to freshen things up and keep them moving in a direction that you would like to see them go. In this episode, I cover a topic that was brought to me by a person who saw a road cyclist crash. They were in bad condition and she wasn’t sure what to do. I thought I’d take a minute to answer this while I upgrade my hardware on the old MacBook and rest before continuing work on the new style creation for the new upcoming year. I hope this is helpful. Keep the questions and comments coming and if you have a story that you’d like to share and get the RoyOnRescue point of view, please email royonrescue@gmail.com. Thanks and keep on rescuing! In this RoyOnRescue, we take a look at Stephen St. Bernard, who risked his own life to save another. He caught a young girl after she fell from a third story platform and though he suffered some injuries after the rescue, he saved the little girls life. This is an episode dedicated to the neighborhood heroes that get involved and make a difference. You won’t want to miss the live footage of this heroic event. Thank you Stephen St. Bernard, for being a true hero. Turkey, Road Rage and Trauma Oh My! What does Turkey, Trauma, and Road Rage have in common? Black Friday! In this episode of RoyOnRescue, Roy shows how crazy it can be when waiting in line for that “perfect” gift that one could just die for? 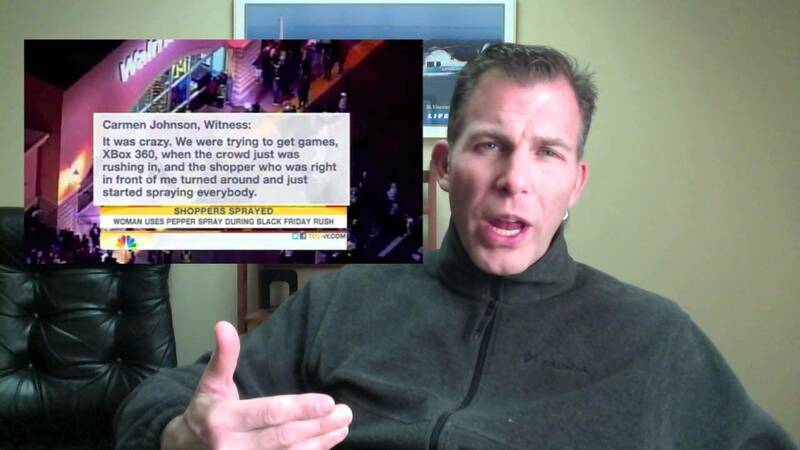 Don’t miss this episode of RoyOnRescue where Roy sheds some light on how to stay safe while getting those Black Friday bargains. In this episode of RoyOnRescue, Roy talks about the possible dangers of Carbon Monoxide gas in the home and garage and how it can occur, how to recognize it and how to prevent it. With the cold weather on it’s way, you won’t want to miss this good reminder about a possible silent killer that can be prevented. CDC reminds us of some of the basic ways to prevent this from happening. 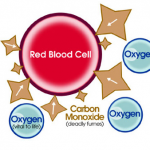 How can I prevent CO poisoning from my home appliances? Have your heating system, water heater and any other gas, oil, or coal burning appliances serviced by a qualified technician every year. Do not use portable flameless chemical heaters (catalytic) indoors. Although these heaters don’t have a flame, they burn gas and can cause CO to build up inside your home, cabin, or camper. If you smell an odor from your gas refrigerator’s cooling unit have an expert service it. 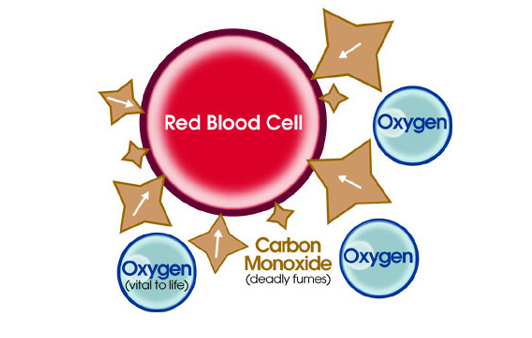 An odor from the cooling unit of your gas refrigerator can mean you have a defect in the cooling unit. It could also be giving off CO. When purchasing gas equipment, buy only equipment carrying the seal of a national testing agency, such as the American Gas Association or Underwriters’ Laboratories. Get in touch with Roy on Rescue by phone. Leave a voicemail. Leave your name, city, state, and question. I have asthma and I’m scared! What do I do if I have an attack? Wear this! It may save your life! 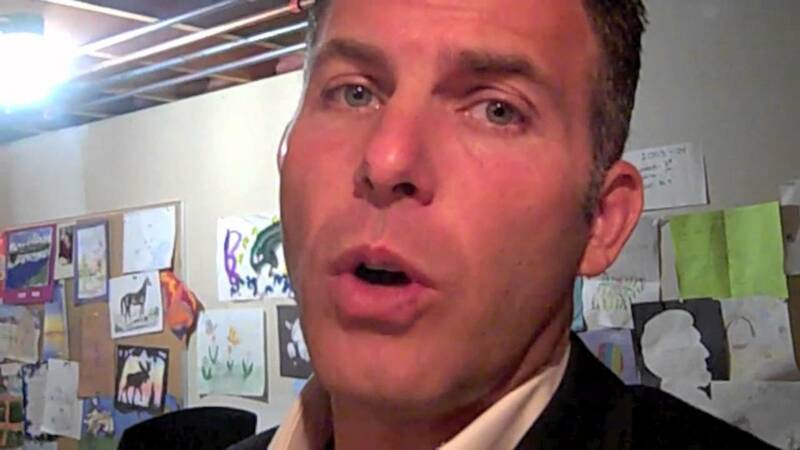 Can Drinking Colloidal Silver Turn You Blue…Permanently? My Foot Hurts! Is it sprained or broken? Tweets by @royonrescue Follow Roy on Rescue's board Rescue Episodes on Pinterest.